Solar Homes Canada – Will Residential Solar Generator Work For Canadian? 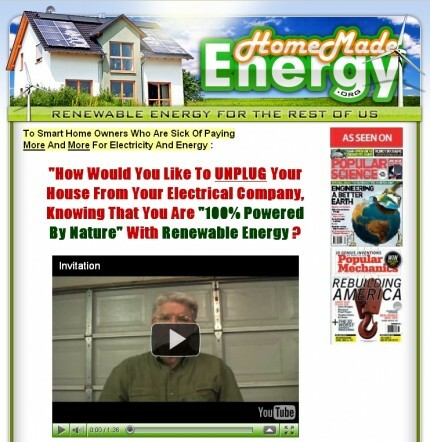 Home/Renewable Energy/Solar Homes Canada – Will Residential Solar Generator Work For Canadian? People in Canada daily hear on the news channels regarding soaring prices of electric power and its generation and the impact it has on environment. One of the best methods to solve these dual problems is to switch over to other options of power resources. Alternative forms of energy consist of solar energy, wind energy, energy tapped from tidal waves and hydro-power. Canadians have been utilizing solar energy for a long time. Solar power meets their individual requirements at residences and is considered more economical than traditional thermal power. Although installation of solar power systems at homes is very useful, for a major effect on environment making it pollution-free, generation of solar energy should be on a much higher level. However, the question is whether generation of solar energy on mass-scale is a viable option and if so, can Canada, as a nation, begin to utilize more solar energy? Yes. It is a realistic proposition to produce solar power on extensive scale in Canada and the electricity generated would be sufficient to meet the requirements of a large segment of population. Contrary to the perceptions of people of other nations, Canada is not a country that is fully covered with snow, trees, mountains and polar bears. On the other hand, there are lots of regions in Canada that get sunshine to generate sufficient solar energy to supply electricity to literally thousands of residences. 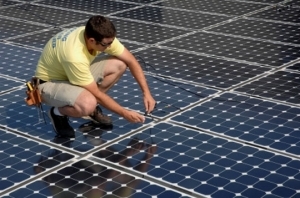 Southern Ontario, Quebec and the Prairies are ideal for setting up huge “solar farms”. The world’s biggest solar farm is actually located at Sarnia, Ontario and supplies solar energy to more than 12000 residences. This is due to the progressive program, known as Feed-in-Tariff (FIT) introduced by the Government of Ontario. This program is aimed at motivating people to build up renewable energy sources at domestic level as well as on a large scale. With the impetus provided by the Government, needless to say, there has been significant increase in the usage of solar energy in Ontario. The northern part of Canada would be an excellent place to utilize solar energy in the small villages and towns. Most of the people in these villages and towns depend upon diesel for fuel and oil for heating. The prices of these products are already very high and if costs of transportation are added, these items would no longer be affordable to a common man. This makes people to be extremely careful in utilizing electricity. The consumption of electricity will go down further, if supplies of diesel do not reach the towns in time. This is because there will not be sufficient fuel for both municipalities and individuals to run gasoline generators to produce electricity. Under these circumstances, solar power is the most viable alternative. This is partly because the electricity produced by solar panels is first stored in batteries before it is distributed to the entire house. The batteries can store electricity for hours or even several days’ consumption. The batteries can be filled in just a few hours depending upon the number of solar panels installed and their power ratings. Although the solar panels require clear sky and bright sunlight for optimum generation of electricity, even poor sunlight is sufficient to produce power. In those places, it is essential to position the solar panels to face the Sun, irrespective of the season. Earlier most of the solar energy generated in Canada was used for other than normal requirements. They were utilized mainly for drying wood and heating water. Nevertheless, it is the beginning of a change and Canada is fast emerging as one of the world leaders in using solar energy. Do you want to know how to build a residential home solar panel via a Do It Yourself (DIY) approach to save money? If you do, check out Ben Ford solar panels building guide to learn the step by step process with High Definition (HD) instructional videos. Click on the link below to visit Ford’s web site right now.